The Low Pressure Area in the Bay of Bengal has been moving along in a Westerly direction towards the Peninsular Coast. The disturbance has skipped a major part of Andaman Islands by moving South of it, its now likely to move in a WNW direction possibly reaching the Gulf of Mannar region near the Indian Peninsula. Things are looking good for the rains to reach the coastal areas starting possibly tomorrow early morning. 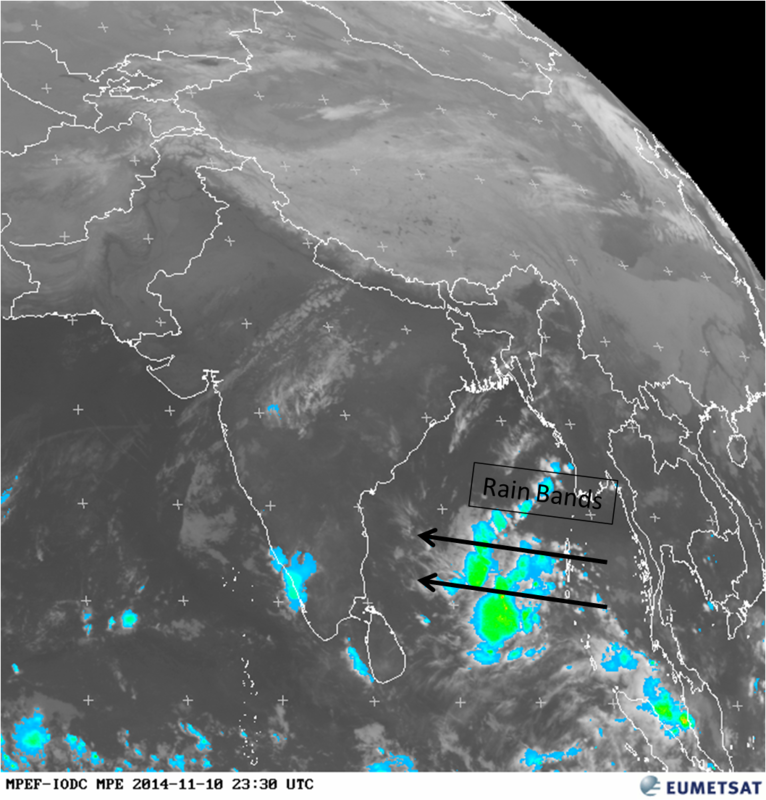 Finally time to track the rain bands and enjoy the restart of Northeast Monsoon season once again.